If you’re in the market for a new Android tablet PC, Tablet Comparison has compiled a list of the the best tablet PCs under $300 and the best tablet PCs over $300. You may be surprised how far your dollar can go this Christmas season. Most are Android tablet PCs with the exceptions being Apple’s iPad 2, which runs Apple’s iOS. In the tablet market, Android is like Microsoft Windows and iOS is like Apple’s Snow Leopard or Lion OSX. While there are many Android tablets under $300, there were only 5 tablets listed over $300 and of the five, the top two models, Apple’s iPad 2 and Motorola’s Xoom battle it out. While at first glance, the Samsung Galaxy Tab may have seemed like an iPad-killer (especially due to the pending patent litigation in multiple countries between Apple and Saumsung) and more recently, the Kindle Fire, the people actually buying these tablets are the one doing the most comparing between the iPad 2 and the Xoom. The one reviewer who compared the iPad and the Xoom to checkers and chess said it well. If you want easy and repeatable over time, get the iPad, but if you want a more in-depth experience over time, you’ll want the Xoom. 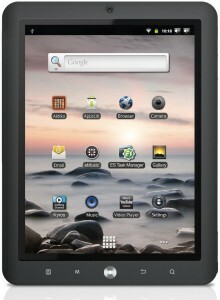 The Xoom is an Android tablet. You could just as easily compare any Apple device to any Android device with the same chess/checkers analogy and be right. This is how Apple wanted it to be (and vice versa). 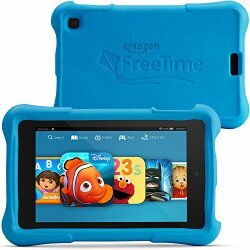 Of the Android tablets under $300, the three that stick out to me are the Amazon Kindle Fire, the Coby Kyros, and the Nook Tablet. Of those three, although the Kindle Fire is only $199, the Coby Kyros Tablet may just be the best value as it’s models range from $205 for the 10.1 inch tablet to $157 for the 7 inch tablet. For comparison, the Kindle Fire and the Nook Tablet are both 7 in Android tablets. Not that size or price is the most important factor in choosing a tablet PC, but out of 352 reviews, the tablet is averaging 3.5 out of 5 stars, 107 of those being 5 stars. One other factor to consider is the availability of covers, cases, and accessories for your tablets. The Apple iPad 2 and Nook Tablet both have the same form factors as their iPad and Nook Color predecessors, but the Kindle Fire, Motorola Xoom, and Coby Kyros tablets are new form factors that accessories makers may be behind in creating new after-market products for. A new website, MID Tablets plans on covering the different Coby Kyros tablet models (each prefaced with a different ‘MID’ which stands for mobile internet device) and the availability of Coby Kyros cases, chargers, and accessories. The same people who brought you Nook Share, which covers the Nook line and their accessories, are the ones behind this new MID Tablets site and the Tablet Comparison site. Read Pads, our reading pads web site, has changed its focus to covering tablet pc pads. There are many different types of tablet PCs as covered on our tablet comparison web site, but Read Pad PCs focuses on tablet PCs that are specifically called ‘pads’, which include the Android aPad/ePad, Apple iPad, ASUS Eee Pad, Lenovo IdeaPad, and the ViewSonic vPad. Read Pads covers the pad PCs themselves and their corresponding accessories, cases, and covers which help protect the increasingly popular tablet PC devices.